Cold Spring Harbor, NY — Scientists at Cold Spring Harbor Laboratory (CSHL) and five other institutions have used an unconventional approach to cancer drug discovery to identify a new potential treatment for acute myeloid leukemia (AML). As reported online in Nature on August 3, the scientists have pinpointed a protein called Brd4 as a novel drug target for AML, an aggressive blood cancer that is currently incurable in 70% of patients. Using a drug compound that inhibits the activity of Brd4, the scientists were able to suppress the disease in experimental models. “The drug candidate not only displays remarkable anti-leukemia activity in aggressive disease models and against cells derived from patients with diverse, genetic subtypes of AML, but is also minimally toxic to non-cancerous cells,” says CSHL scientist Chris Vakoc, M.D., Ph.D., who led the team. The drug is currently being developed for therapeutic use for cancer patients by Tensha Therapeutics and is expected to enter clinical trials within two years. 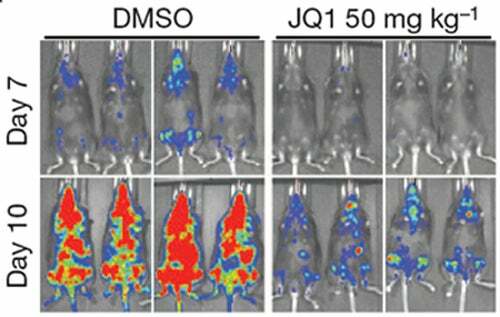 Unlike their untreated counterparts (left panels), leukemic mice treated with daily injections of the drug JQ1 show delayed leukemia progression and fewer signs of the disease (red spots). The study represents an early success in CSHL’s Cancer Therapeutics Initiative, which aims to rapidly identify new therapeutic targets and validate them in mouse models that closely mimic the behavior of specific human cancers. In addition to offering insights into cancers molecular mechanisms, this pre-clinical testing of drug candidates within a living animal allows researchers to evaluate cancer’s response to new therapies and glean information that can be used to modify treatment strategies and increase the success rate of drugs that eventually enter the clinic. The Initiative integrates powerful technologies and methods developed at CSHL over the last five years. A team led by researcher Scott Lowe, Ph.D., has developed mouse models of various cancer types that incorporate knowledge gained from genomic analysis of human patients tumors, using technologies developed by a team led by Michael Wigler, Ph.D. Known as mosaic mice, the animals are genetic hybrids that quickly develop tumors, which closely follow the course of human cancers. With RNA interference (RNAi) tools developed in the lab of Greg Hannon, Ph.D., scientists can screen vast subsets of genes involved various aspects of cancer development to identify a given tumor’s Achilles’ heels and validate these targets in mosaic mice for subsequent drug development. The protein target identified in the RNAi screen described in the current study, Brd4—which contains a distinct domain or region known as a bromodomain—is a member of the BET family of proteins, which help regulate gene expression. By reading certain epigenetic marks or chemical tags attached to chromatin—the combined package of DNA and proteins around which it is coiled within the cells’ nucleus—Brd4 helps control the pattern of which genes are switched on and how they work. “Cancer is clearly a genetic disease, but we also appreciate that epigenetic changes in how genes are expressed contribute to the uncontrolled growth of cancer cells,” says Vakoc. Cancer cells exploit this altered epigenetic landscape to drive their cell-growth programs. To do so, the team turned to RNAi screening in mouse models of AML, an approach developed and perfected previously in the Lowe and Hannon laboratories. In the RNAi screen, small hairpin-shaped pieces of RNA (shRNA) that can shut off specific genes, in this case, those that encode epigenetic proteinsare introduced into mice that harbor leukemia-causing mutations. In the current study, the mice carried the oncogene Nras as well as rearranged forms of the MLL gene, mutations often found in patients whose leukemias are resistant to standard chemotherapy, and hence, associated with a poor prognosis. In the experimental model employed by the team, the shRNAs were induced, or switched on, in the leukemic mice by supplementing their drinking water with the drug doxycycline. While refining this approach, Zuber, Lowe and colleagues identified a protein called Myb as another potential therapeutic target for AML, as reported in a recently published paper. The work, which shows that suppressing the activity of Myb also eradicates AML in mice, set the stage for developing the screen in the current study that identified Brd4 as a druggable target for AML. In a single experiment in which they screened more than 1000 shRNAs targeting 243 known epigenetic regulators of chromatin, the team of scientists focused in on one target—Brd4. Suppressing Brd4 with a shRNA led to a dramatic cell cycle arrest and death of leukemic cells, a marked delay in leukemia progression, and significantly extended the survival of leukemic animals. Shutting down Brd4, the team confirmed, derailed a cellular process considered to be the hallmark of AML—the aberrant self-renewal of leukemic stem cells and their failure to complete their differentiation, or maturation, process. “We found that suppressing Brd4 in turn depletes the level and activity of a protein called Myc, which is thought to maintain leukemic stem cells,” explains Junwei Shi, a graduate student in Vakoc’s laboratory who worked with Zuber to spearhead these efforts. These discoveries prompted a collaboration between the CSHL team and James Bradner, M.D., an oncologist and chemical biologist at the Dana-Farber Cancer Institute, who, serendipitously, had previously developed JQ1, a small molecular inhibitor of Brd4. Working together, the scientists found that JQ1, which reproduced all the anti-leukemic effects seen in the Brd4 shRNA experiments, was an ideal drug candidate. “Our extensive evaluation of JQ1 sensitivity in primary human leukemia samples and in established cell lines has revealed that this first-generation compound is broadly active against diverse AML subtypes,” says Vakoc, who hopes that the second generation drug-like derivatives of the compound that are now being developed will have greater clinical utility in patients. 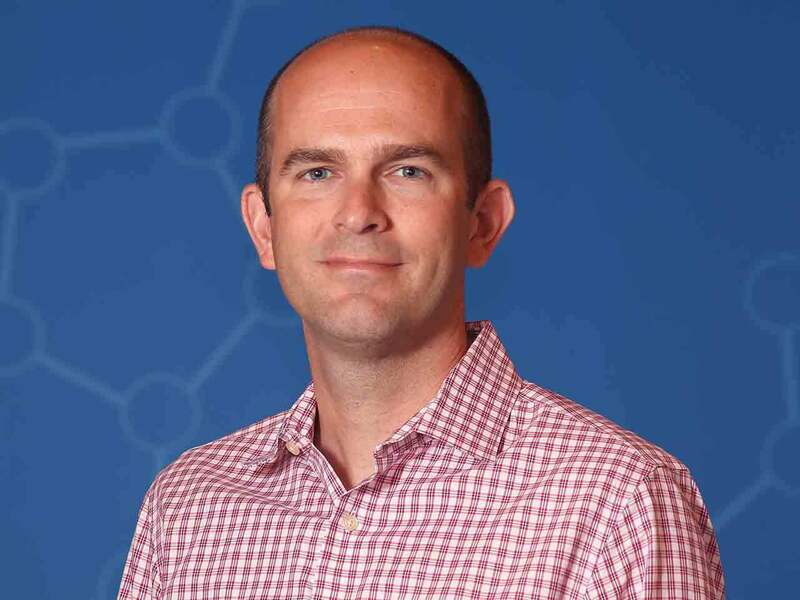 “We’re also excited to have found a pharmacological way to suppress Myc, which plays a role in many oncogenic pathways and is deregulated in most cancers,” says Lowe. 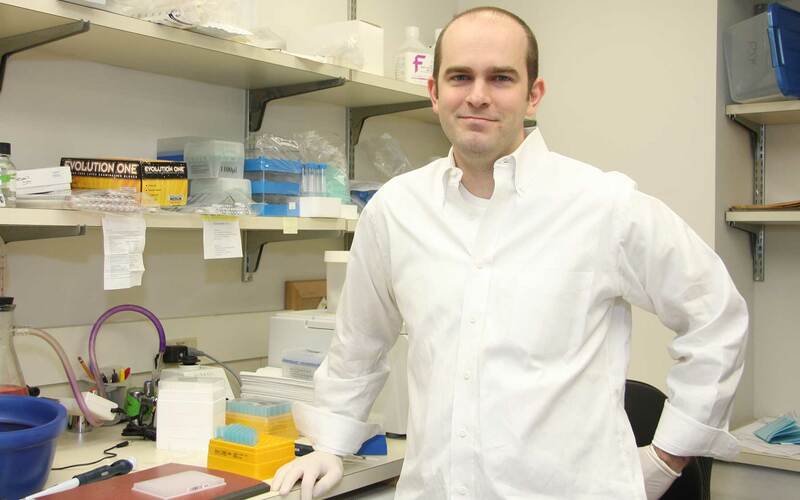 Since 2006, the Foundation has contributed more than $5 million to CSHL’s cancer research program and helped establish the Joseph and Tita Monti Research Laboratory at CSHL, where clinicians and researchers led by Scott Lowe worked together to develop the powerful experimental animal models that are such a vital component of CSHLs Cancer Therapeutics Initiative. Additional sources of support include grants from the Laurie Strauss Leukemia Foundation, Damon-Runyon Cancer Research Foundation, Smith Family Foundation, the Leukemia and Lymphoma Society, the National Cancer Institute, the Howard Hughes Medical Institute and the SASS Foundation for Medical Research. * Johannes Zuber and Junwei Shi contributed equally to this work.